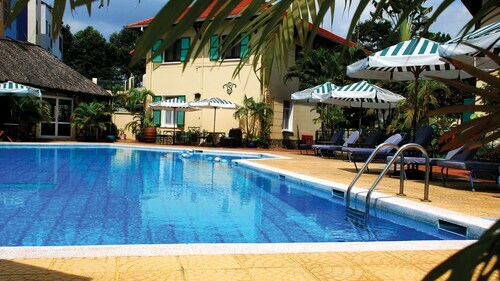 Situated in the business district, this hotel is 0.5 mi (0.8 km) from Ho Chi Minh City National University and within 3 mi (5 km) of Pham Ngu Lao Backpacker Area and Ben Thanh Market. Saigon Square and An Dong Market are also within 3 mi (5 km). Saigon Railway Station is 23 minutes by foot. 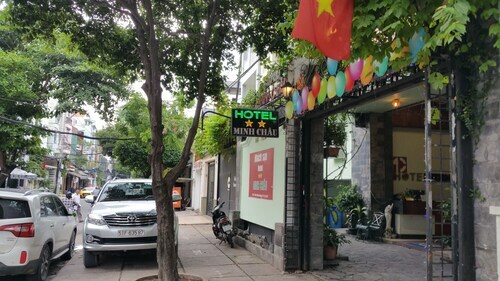 Situated in Ho Chi Minh City, this hotel is within 1 mi (2 km) of The Most Holy Redeemer Saigon, Pham Ngu Lao Backpacker Area, and War Remnants Museum. Ben Thanh Market and Saigon Square are also within 2 mi (3 km). Saigon Railway Station is 9 minutes by foot. Situated in Ho Chi Minh City, this aparthotel is 0.1 mi (0.2 km) from Ho Chi Minh City National University and within 3 mi (5 km) of Pham Ngu Lao Backpacker Area and Ben Thanh Market. An Dong Market and Dam Sen Water Park are also within 3 mi (5 km). 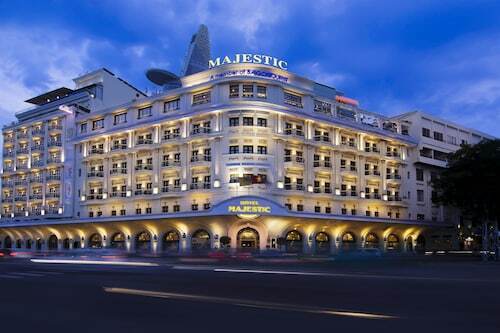 Situated in Ho Chi Minh City, this hotel is within 3 mi (5 km) of War Remnants Museum, Ben Thanh Market, and Ho Chi Minh City Museum of Fine Arts. Saigon Square and Opera House are also within 3 mi (5 km). Saigon Railway Station is 10 minutes by foot. How Much is a Hotel Room in District 10? Hotels in District 10 start at $17 per night. Prices and availability subject to change. Additional terms may apply. You'll find yourself spoilt for choice when it's time to start researching vibrant places to stay in District 10. Start your research by looking through the 537 room choices on Travelocity, all within a 6-mile (10-kilometer) radius of the urban core. 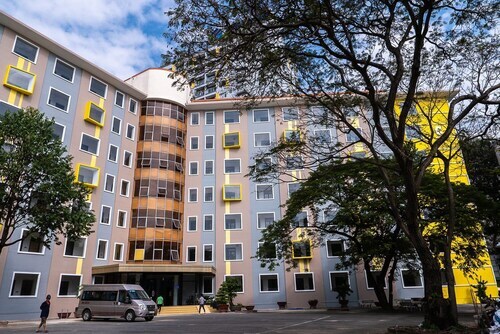 Enlightened travelers can tell you that pain-free travel is the convenience that comes with a central location, so why not have a look at the Saigon Village and Minh Chau Hotel, each of which are located within a 0.6 miles (1 kilometer) walk of central District 10. 7 miles (12 kilometers) outside of central District 10, you will come across the An Lam Saigon River. 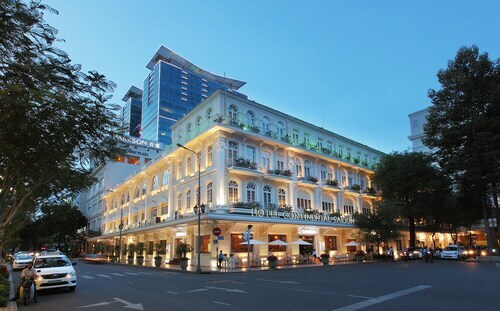 Alternatively, the Park Hyatt Saigon is located about 2 miles (4 kilometers) away. Other possible hotels are the Sheraton Saigon Hotel And Towers and the InterContinental Asiana Saigon. The wider Southern Vietnam region is worth checking out too. Southern Vietnam is famous for rural landscapes, beaches, forests and rivers. Frequented visitor sights are ruins. In this area of Vietnam travelers might enjoy hiking and cycling. Situated 1 mile (2 kilometers) to the south of District 10 modern travelers will find District 7, where you can enjoy the Phuoc An Hoi Quan Pagoda. 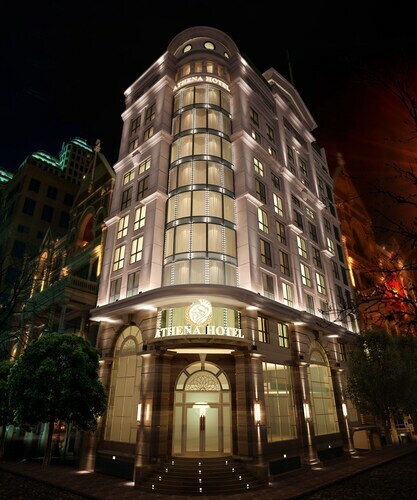 District 5 - Cholon rooms include the InterContinental Asiana Residences and Sedona Suites Ho Chi Minh City. For an alternative option, you might like to check out District 7, which is found 5 miles (8 kilometers) southeast of District 10. While you're there, visit the SC VivoCity. 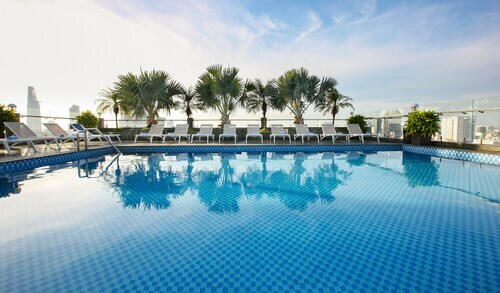 The Caravelle Saigon and Renaissance Riverside Hotel Saigon are good options for places to retire for the night. Before saying your farewells to Ho Chi Minh City, make sure you get down to watch some local teams. Swing by Thong Nhat Stadium, to the southwest of District 10. Those sports fans that need to find Travelocity-listed accommodation near to the sporting action can compare the Sofitel Saigon Plaza or the Lotte Legend Hotel Saigon. 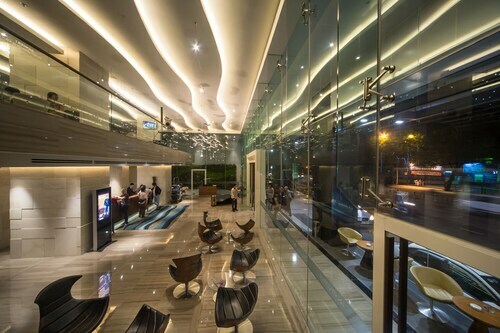 Tan Son Nhat International Airport can be found 3 miles (5 kilometers) outside District 10's downtown precinct. Modern visitors who wish to find a close base can book a room via Travelocity at the New World Saigon Hotel or the Rex Hotel. Great location! Classic hotel feel, overall great value. The exercise room AC was out during our stay, perhaps a fan or two could help circulate the room. Overall, I was very pleased with this Hotel. Only thing, I didnt like was my room did not have a window and i had to upgrade it. It felt like i was in prison cell. It costed me $72 with tax to get a nice view. The staff was very helpful every day. They had smiles on their faces and made me feel like I was coming home every time I walked in the door. Thank you for the great experience. 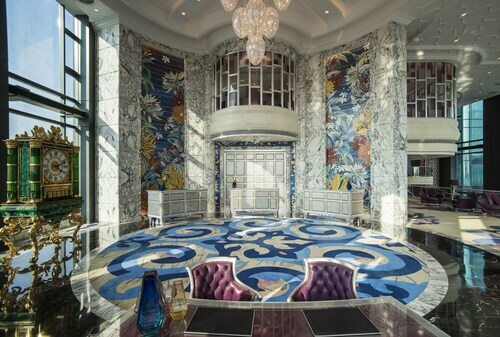 I have traveled extensively and The Reverie Saigon is the best hotel I have stayed in to date. Luxury at all levels. Every detail was perfect and the staff trained and helpful. I didn’t want to leave. I have to make a change on my booking schedule, and need to move the booking dates back for 2 months until October (i.e., not for an immediate change which a room may not be available), but, in spite of repeated requests coming from Travelocity, the hotel just would not budge and would not allow me to take back my deposit either---The room has been fully paid in advance! I understand each hotel has its own policies; however, given these days and age, I would think that this is not a very smart move as I for one will not book at this hotel ever again.